Join us for an evening stroll full of legends, magic, mystery and romantic stories! 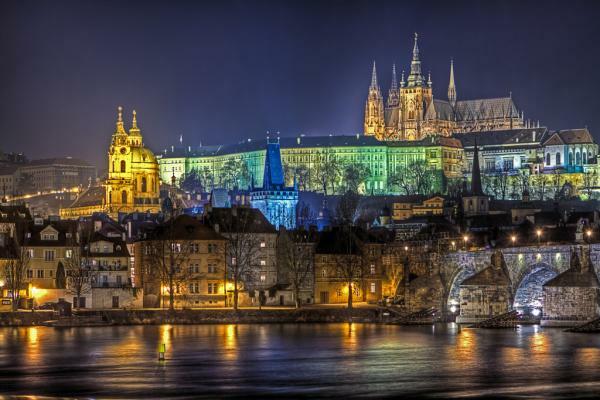 Prague has through history had a reputation for magic, beauty and romance. Our tour will explore these sides of the city and how the enchanted legends were created. Our enchanted adventure begins with Mozart's house and talk about his special relation to Prague, known as 'Mozart's Mistress'. The followed by an equally famous name of Casanova, one of the most interesting characters of the 18th century, of how and what he did spending his last years writing his memoirs here. From the Renaissance times the esoterically teachings of alchemy and astrology were important and we will hear about the eccentric astronomer Tycho Brahe and his golden nose! The symbols and meaning behind this famous astronomical clock is not what you think! Also in the faiths of Prague the third native spiritual tradition was the Kabbalah, which flourished in the Jewish Quarter with it’s mystical traditions told in tales by entertaining guides. Back even further we can find mystery in Prague that the Castle hill was used for worship by pagan tribes already during pre-historic times. In which deeply hidden to the untrained eye a knowledgeable guide will help point those traces that can be discovered still today! After all the fun legends and tales on the stroll we end the tour on a high with a one hour boat cruise. The cruise will go on the beautiful Vltava river with both banks all illuminated for impressive evening experience! On the cruise you’ll have your choice of a complimentary beverage. Participants will need to be fit for light continuous walking with short breaks up to 2 hours. Tour goes in all weather conditions, not responsible for unforeseen delays or accidents. Programs cancelled within 3 days of travel date incur 100% cancellation penalty where as no refunds for any reasons are refunded. No show or non-participation on tour/program is considered non-refundable for any reason.